Join us for an Introductory Open Water Clinic led by experienced CIBBOWS core instructors. 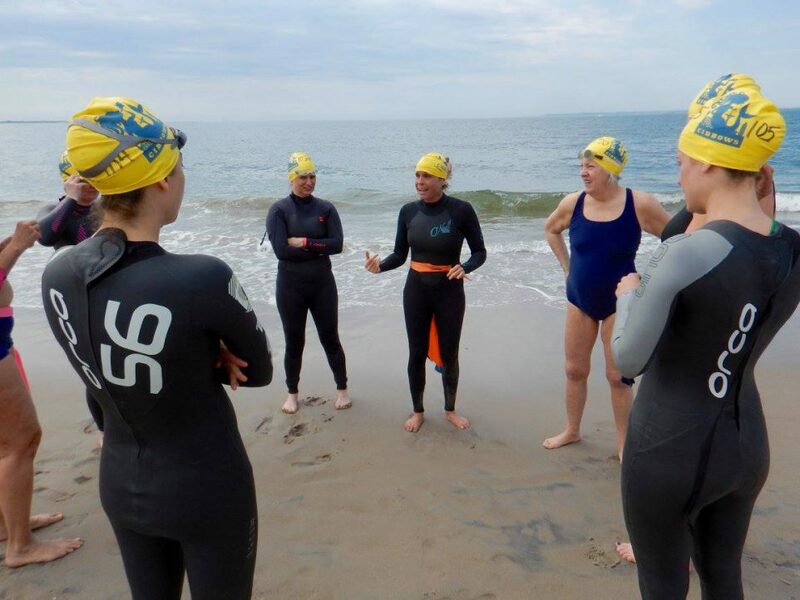 Swimmers will be given a safety orientation on beach, then go into the water and swim a short distance. Clinic will be approximately 1 hour, with the possibility of running longer depending on swimmers and coaches. Requirements: Must be able to float, tread water, and swim at least 200 yards in a pool without stopping. No previous open water swim experience necessary. Please note–this is not a learn to swim program. Please read our essentials page before attending. The clinic will take place rain or shine, and is limited to 12 swimmers. Tickets are non-refundable and non-transferable. Clinics are for CIBBOWS members only.